Lancaster is among the first cities in the world to achieve the new LEED certification for cities. Lancaster has achieved a Gold certification from the new LEED for Cities program, which recognizes leadership in sustainability. It is among the first communities in the U.S. and the world to get the rating, which has also recognized Washington D.C.; Phoenix; Arlington County, Virginia; Songdo, South Korea; Savona, Italy; and Surat, India. LEED, which stands for Leadership in Energy and Environmental Design, is the most widely used green building rating system in the world and is facilitated by the U.S. Green Building Council. The certification system grew to include cities in 2017. 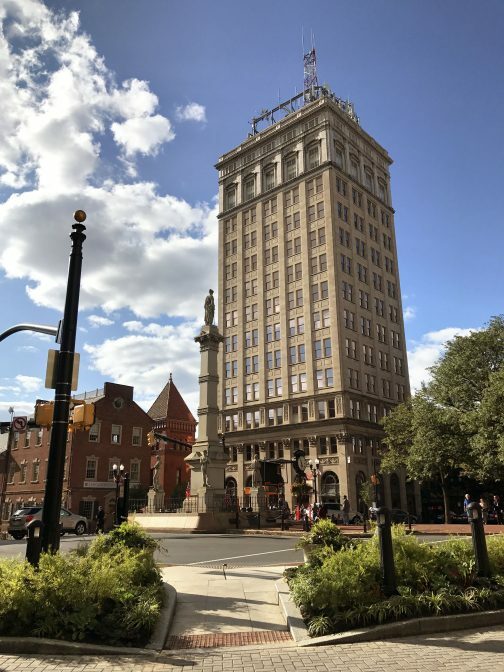 As part of its certification, Lancaster is tracking five metrics related to sustainability: water, energy, waste, transportation and “human experience” – which encompasses social factors such as education, equitability, income, and health and safety. With its small size and ease of access to transit options, like Amtrak, Kunka noted Lancaster scored particularly well on energy use and transportation. “For example, in the transportation category — you get a higher score for cities that are compact, walkable, and offer public transportation,” she said. Douglas Smith, a senior planner for Lancaster, said the LEED program will help the various city departments keep important data in one place and work to mitigate the harmful effects of climate change. “Local governments are really on the front lines of [climate action],” he said, citing the intense rain and damaging flooding the region has experienced this summer. Increased precipitation is in line with climate scientists’ predictions for how global warming will affect Pennsylvania. Last year a story by the BBC dubbed Lancaster “America’s Refugee Capital” because of its high rates of resettlement for immigrants. The city has been welcoming the attention and is also pitching itself as a place for people moving amid a changing climate. Note: this article has been updated to reflect the list of communities formally certified, after the USGBC revised the information it provided.